Masport M-TECH® is a new power management system that provides the latest lithium-ion battery technology to power a brushless induction electric motor that will match the performance of many domestic petrol engines. 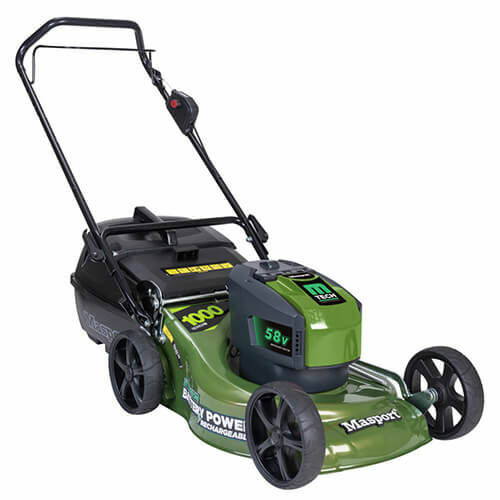 The blade system, handle, wheels, catcher and cutting deck used on this mower is the same as used on petrol powered models so no compromise in quality or performance. Mulching Capable, Batteries & Charger Included, LED Battery Charge Status.